I know many people like to dry the herbs they grow in their garden. It’s easy enough to do: you snip ’em, wash ’em, and then dry ’em, usually in a food dehydrator or on a sheet pan placed in a low-heat oven. Freshly washed and dried sage. 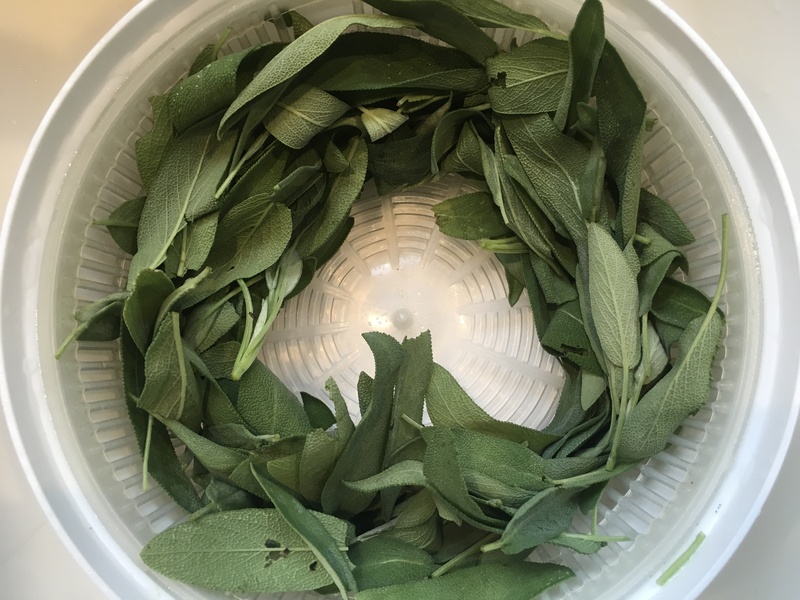 I snip the sage leaves, and before washing, I pre-measure them, usually a cup or two at a time, packing them somewhat tightly in a glass measuring cup. Once I have my measurement, I wash them, dry them in the salad spinner, and place them in plastic bags, marking the quantity on the bag. 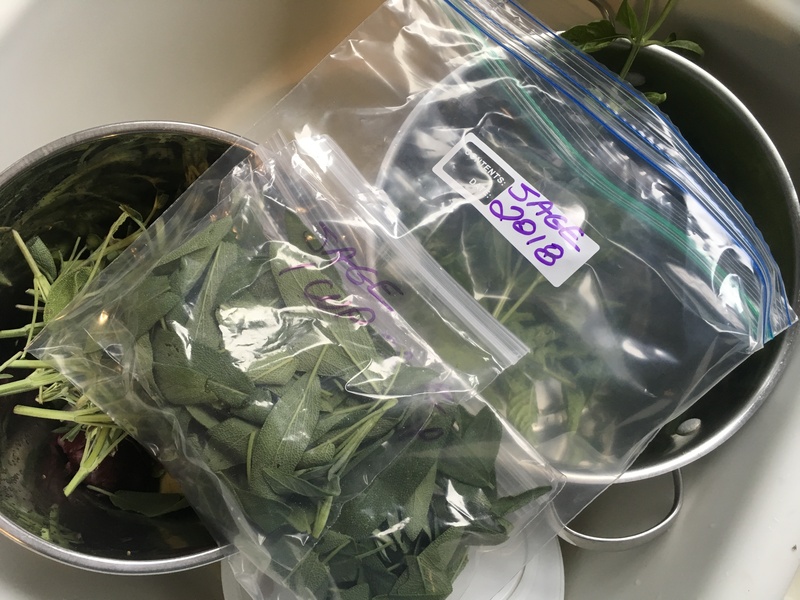 Then, when my stuffies recipe calls for 4 cups of sage, I simply grab the amount of bags I need and I’m ready to go. Pre-measured sage, ready to go in the freezer. 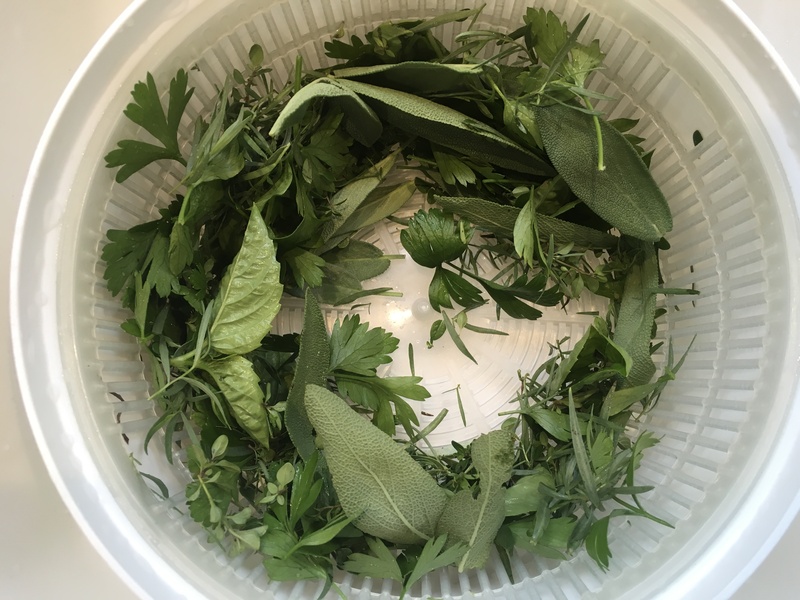 My mix of garden herbs. Really: you can mix and match anything. 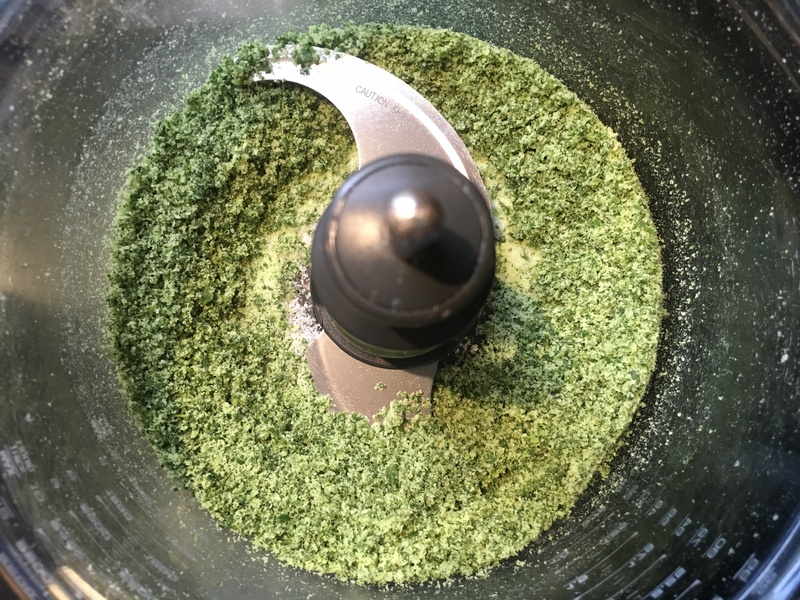 I thought that was a brilliant way to use up the leftover herbs I had in my garden, so I gave it a try: a tightly packed cup’s worth of fresh herbs, plus a cup of Kosher salt in the processor. The beautiful color of herbed salt. I went one step further. If having herbed salt is a great idea, then having herbed butter at the ready has to be even better! I simply took a stick of unsalted butter out of the fridge and let it soften. (Use unsalted butter or the result will be way too salty.) I added one teaspoon of the herbed salt to the butter and mixed it in well. Then I placed the butter on a sheet of wax paper, and rolled it into a small log, twisting the ends of the paper to seal it, placing it in a plastic bag and into the freezer. 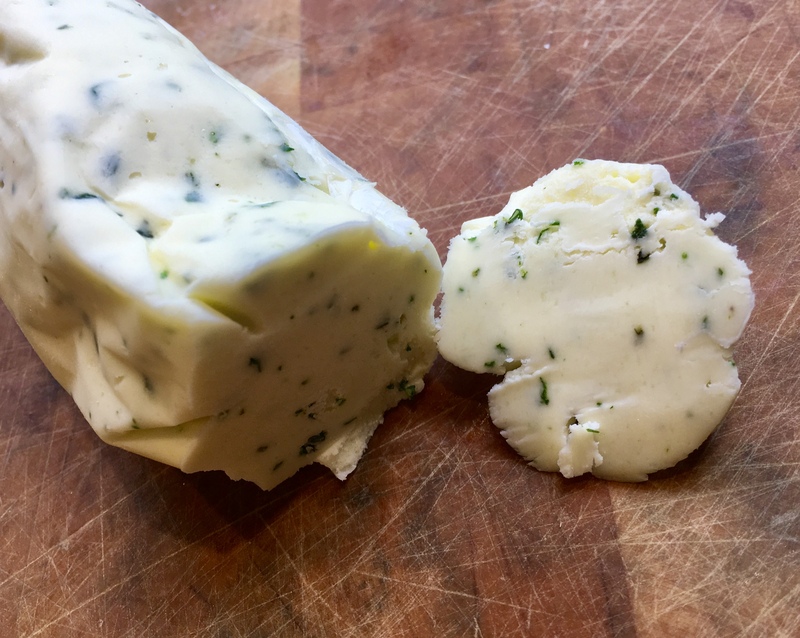 Now, when I want to amp-up the flavor of a freshly grilled steak or piece of fish (or a plate of freshly cooked boiled or baked potatoes,) I just take the log of herbed butter out of the freezer, slice a piece off, and let it melt over the top, placing the log back for future use. Me, too, Debbie. In all honesty, this is the first time I’ve done it. A great idea! So many great ideas! Want to use the food I grow and reduce waste. Can’t wait to use my food processor and make herb salt. Brilliant!